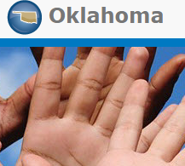 Privacy | Welcome to Legal Aid Services of Oklahoma's guide to free legal help in Oklahoma. OKLaw.org is committed to your privacy. It is important to us. OKLaw.org uses use Google Analytics to gather usage statistics. OKLaw.org will use the information gathered to improve web services for its users. Google Analytics employs cookies to define user sessions, which allows for the collection of important data about how our users are using OKLaw.org. Google Analytics uses only first-party cookies for data analysis. This means that the cookies are linked to the OKLaw.org web site domain, and Google Analytics will only use that cookie data for statistical analysis related to your browsing behavior on the OKLaw.org web sites. According to Google, the data collected cannot be altered or retrieved by services from other domains. If you choose, you can opt out by turning off cookies in the preferences settings in your browser. For more information on Google Analytics, please visit Google's web site.